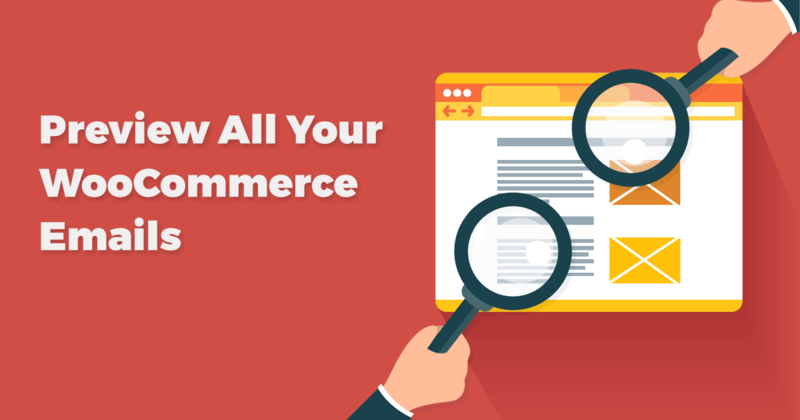 WooCommerce is an amazing tool for selling products through your WordPress powered website. It’s infinitely extendable for developers, has great documentation, and overall gets your online e-commerce up and running very smoothly. We love it so much we made QuickCheckout that let’s your customers buy with WooCommerce even faster. Another thing I particularly appreciate about WooCommerce is the emphasis on the customer experience from start to finish. Users can navigate to the products easily, see screenshots, add or read reviews, add the product to their cart, purchase, and then get a well formatted confirmation email. This is great. You Can’t Preview Changes to the Template at all! I’m certain…like REALLY certain that this feature is on someone’s to-do list over at Woo, and they’ll make it awesome — one day! But until now making updates to your email templates requires that you re-send the emails to yourself for every change you make in order to see the changes live. As a developer, this really is inconvenient and irksome. I struggled with this directly when building out a new WooCommerce site. I needed to make basic changes to a couple of the templates and I just refused to re-send emails over and over again. In researching a solution I learned a lot about customizing the email templates, and ended up putting together a resource that speeds up development of email templates a lot. I think you’ll love it. So you’ve decided that you need to add some content, or adjust the layout a bit to some of your email templates. With WooCommerce 2.3+ you can jump right into this just the same way you change other WooCommerce templates. Basically, go into the woocommerce folder and navigate to the `templates` sub-folder. Inside there you’ll see another sub-folder called `emails`. You can grab any and all of those files, and copy them (don’t “move”) into your theme folder into `woocommerce\emails`. What I typically like to do at this point is add an inline comment like: `<!–This is in my theme! –>` then preview the template and make sure that it’s actually over-writing correctly. Of course, that’s exactly where I hit my first roadblock since there’s NO way to preview the email templates. But no worries for now, I’ll cover in detail later. At this point, you’ve already got “custom” email templates running, you just haven’t customized them yet. Let’s do that next. The email templates depend on PHP, HTML, and CSS just like page templates do. But there’s a couple “gotchas” to watch for. `wc_get_template` (Documentation) This is how the general framework of each template is structured. The `email-header.php` and `email-footer.php` are called with this. `do_action` (Codex Documentation) This is your friend, but it’s a WordPress Core function. You’ll use this to call up any of the WooCommerce available actions. 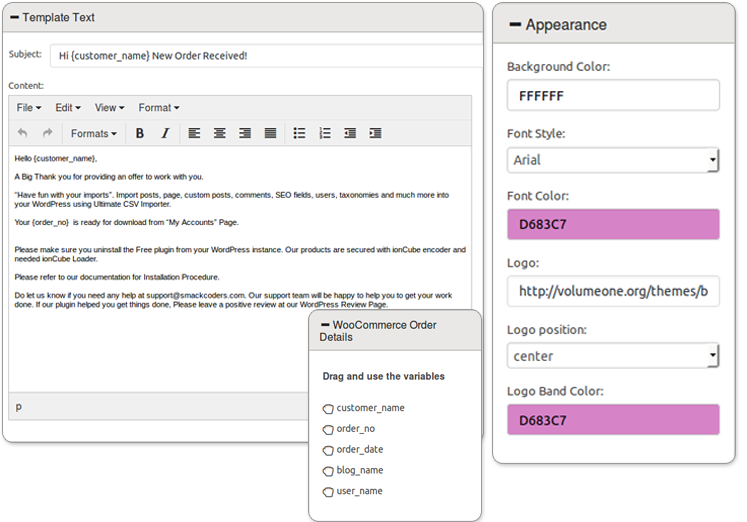 WooCommerce uses `emails\email-styles.php` to output the color styles from the WooCommerce Email Settings tab directly into the template as inline styles. Inline styles are best for email. WooCommerce takes the header styles and dynamically inserts them into the template as inline styles. It’s pretty impressive how they do that. This also applies to any custom styles you add, even to new class or id names. One quirk I found though is make sure you don’t add any inline comments in your styles. For some reason that breaks this feature and your styles won’t get applied. The bottomline is that you can add all the styles you want into the email-header.php file, and WooCommerce will take care of adding them into your template as inline styles. Pretty awesome work. It gets you adding the `woocommerce\emails` folder to your theme to get you on your way to customizing your templates. It adds a link to the WooCommerce Email Settings tab that allows you to preview all of your email templates live. YEAH! The Preview window allows you to choose which template you want to see, and even populate that email with order information. It has the `email-header.php` and `email-footer.php` files in order to make the preview work. But since I needed to add those anyway I updated the markup to make the table layout responsive. Responsive Email Receipts, right out of the box! There are a few plugins out there that handle this kind of thing a bit more robustly. And like I mentioned, I’m pretty sure WooCommerce will incorporate something like this into it’s Core in the near future. But for now, I can’t imagine customizing WooCommerce emails without this! This is a really handy tool that gives you a dashboard to see every email that is sent from your WordPress install. This was really valuable for me while building out the Preview script. I wanted to make sure that only the code that I wanted was getting output to the actual email. This tool shows you the log of the email being sent, and give you a popup to see the actual email. Refresh the Preview panel. Repeat one and two until satisfied. Lastly, go to a test order and go to “Customer Actions” in the right hand panel and choose “Customer Invoice” under “Resend Order Emails” and hit “Save Order”. This resends that email to my email address on that order. Go to the Email Logs dashboard and preview the final email in a popup. Zurb is a really impressive (and we don’t use that word lightly around here 😉 ) design and development company. They’re the geniuses behind the Foundation CSS Framework. They have several really excellent resources available for Responsive Emails. Free Responsive Templates. 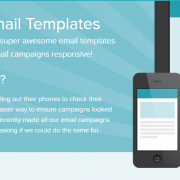 This great library of Responsive Email Templates with quite complex layouts. If you really want to impress your customers, you might lean on some of these for powerful layouts. 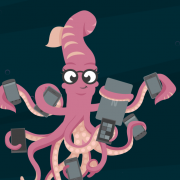 Responsive Email Course: Zurb University does all kinds of really useful courses. I haven’t personally taken this course, but the fact that they have a dedicated course just for Responsive Emails is pretty great. 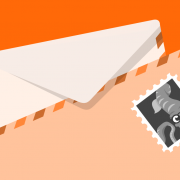 Zurb Ink: Zurb Ink is a whole library dedicated to Reponsive Emails. You’ll get more than you ever wanted from Responsive emails just be cruising around the website. But if I were you, I’d download everything you can get your hands on. This is another excellent responsive template library. Antwort had very detailed documentation for it’s layouts and features. If you’re just getting into responsive email templates you might want to start here and move on to the Zurb stuff after you’ve got a good grasp of this. We’ve been discussing customizing only the default WooCommerce Email Templates. What if you want to have additional emails sent and customize those templates? The folks at Skyverge have a great tutorial on doing just that. The bonus is that once your new email and template are created you’ll still be able to preview it with our code too. Have you created an amazing email template for your WooCommerce store? We’d love to see it. Are you using our Preview code and simply adore us now?! Let us know, we’d love to hear your story. Hi John. I saw that one and honestly, I didn’t even test it because of the 3 1 star reviews. I like to give developers the benefit of the doubt, but the responses to those reviews was also less than satisfactory. In the end, this method is much more direct, requires no additional plugin code, and gives me a lot more control over the end result. That’s why I opted for this instead. I followed your instructions to the T but can’t get this to work. Please see attached. Most likely (from Step 2) the `$preview` variable is not pointing to `woo-preview-emails.php` file correctly. It depends where you included the whole folder in relation to where you are pasting that function. Experiment with that and you’ll work it out for sure. where can I find the woo-preview-emails.php (file)? Do you know what is wrong?? Of course if you are using a parent theme (not a child theme), then see the code I provided at Github instead. This would be perfect, but like many others, I couldn’t get it to work. I tried adjusting the path to woo-preview-email.php with no success. Please let me know if you have additional information since your original posting as this would be very useful. Sorry you’re having trouble. It is a matter of requiring the file correctly. I provided the code that worked in my case and hoped that others would be able to work it out in each of their cases as well. I downloaded the repo from Github, but it contains more files than only the 3 .php files and image folder. There is a folder called ‘Assets’. Where do I put this on my FTP? You can ignore that actually. Those are assets for the Readme file on Github only. Thanks! I using custom header and footer for the emails, so I already edited both “email-footer.php” and the “email-header.php” files for my emails. How should I include these without any overwrite? I would use the ones that come with this script, then incorporate your changes from your files into them. There’s just a few important lines in both of those files that make the whole system work. I might add some inline documentation to more clearly indicate that to make it easier for instances like yours. just an FYI that Woocommerce has recently changed some action hooks in a recent update – which is causing your email viewer to pull in the headers and footers twice – so you get a nested email within an email effect! The solution is simply to remove lines 58,60 and 64 of your preview emails file. Hi Mike, I’ll have to check that out. I’ll have to dig into that. There is some customizations in the header and footer templates that I don’t want to loose. I’ll update the article and the Github with the fix when it’s done. Thanks for the heads up! Hey Mike, I just tested this locally on the latest WooCommerce (2.3.9) and didn’t have duplicate headers at all. So, unless others confirm they have that problem as well, I think it might be something unique to how you set it up on your side. Can you provide any detail on the changes Woo made that you’re referring to that I can dig into? So assumed straight away that it was because of a woocommerce change. They recently removed some of their includes in template files, and substituted them for hooks/actions – which meant for me that certain elements were getting included twice – the same issue that was happening with your header/footer templates. I’ve fixed the issue for myself, and it may be an isolated thing for me. I’ll try with woo 2.3.9 tomorrow and will get back to you. Thanks for the great article and code. Oh my goodness… ya, no demo or screenshot or ANYTHING on that product page. Crazy what some folks try to get away with. I’ve actually really good things about this plugin: http://codecanyon.net/item/email-customizer-for-woocommerce/8654473 It looks pretty useful overall. Hi James. Naturally, before I built this code I searched the repo and found your plugin. Like several others in your support forum I was unable to get it to work reliably. I also considered making this code into a plugin, but the truth is, this is a template for creating your own custom WooCommerce emails, and those typically are done within the theme. I didn’t want to do something unorthodox so I thought building out this resource as a starting point for others to learn how to customize their emails themselves was a good way to go. Thanks for stopping by! This is great!!!! It installed perfectly.. The only thing I noticed was where the email header text is supposed to be is blank. It’s blank on your sample animated gif above as well.. is there something I’m missing or a way to fix this? Will this also make the actual email go out to the customer without the heading as well? Thanks for your help! Ya, unfortunately I haven’t found a way around that. It seems WooCommerce inserts the header in a different way than the rest of the email. But your header definitely will still work. Since writing this email I was informed of another really useful plugin called Email Cop. It basically stops ALL emails from going out and let’s you see what they would have looked like with a simple preview screen. My script in combo with that is a pretty much perfect solution. Try it out! Thanks for stopping by! Ok thanks, I’ll check out that plugin.. thanks for your help! Hi Matt thanks for putting this together, it looks great! Thanks, this is a great tool! I should have added that I merged your header and footer files with the latest versions found in WooCommerce versions 2.3 and 2.4. Thanks for the heads up, I’ll need to update my Git repo with that. Glad you found it useful! The interesting thing about the preview and the email log, emails weren’t being sent out when we would send an update email, but when email log was installed, the email updates started working, go figure. I’m using WooCommerce 2.5.5 (on WP 4.5.2) and it now has Email preview built in. However it doesn’t give you an accurate representation of what the emails look like. This script would be great but it doesn’t seem to work with the latest version of WooCommerce. I get the same problem – doubled up headers and footers. Can it be adapted to work with latest version of WooCommerce? Hi Sam, Did you get it to work? My WC email preview is working fine now with the latest versions of WP and WC. For some reason the email header and footer were getting called twice, thus I was getting two of each every time. I can’t remember right now where it was though, but it was something simple, one line of code somewhere. I suggest tracing from woo-preview-emails.php how these two templates ( header and footer) gets included and go from there. Hi, I am on WooCommerce 2.6.2 (on WP 4.5.3) and I just cannot locate any option to preview emails. Where can you see the ‘built in’ options to preview emails? Just updated for compatibility with WooCommerce 2.6+ Thanks! Does this plugin still work with WooCommerce 2.6.2 (on WP 4.5.3). Would there be any modifications required? I am trying to use this with my child theme which has functions.php in a subfolder. I am still not clear if my relative path is incorrect OR if this plugin is not functional now. I would like to add Email Customizer for WooCommerce to the list of plugins. 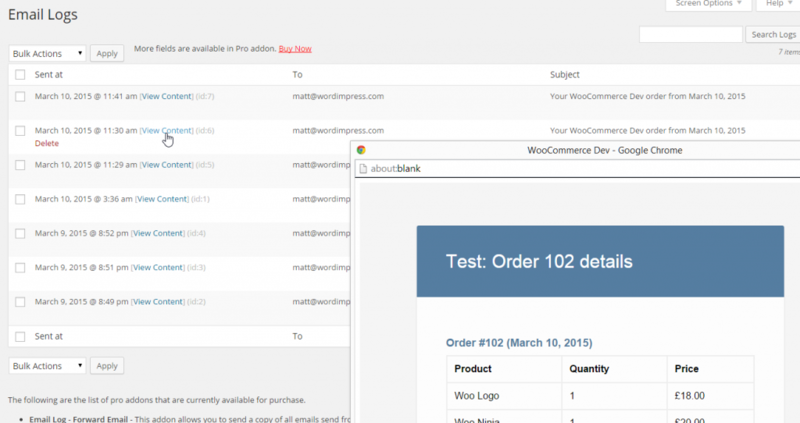 It can help you customize the WooCommerce order mail templates without touching any core files. You can add your content with simple WYSIWYG editor. Drag & drop WooCommerce variables to mention customer name in greetings. You can design all the WooCommerce email templates in your unique style. Hey. Have you seen this plugin that does just this? https://en-gb.wordpress.org/plugins/woocommerce-email-test/ – helped me a bunch! That didn’t exist when I created this snippet. I’ll give it a spin. But what I like about the snippet above is that it’s more than just previewing emails, it also helps you understand how to customize your WooCommerce emails as well. Matt this is great, but there is no styling. When I go to Emails in Woocommerce Settings and view Email Templates, your email template page has no styling to it. I don’t want to change the content of the woo new-admin-order email just make it wider so it doesn’t take up 2 pages for a 2 item order.I can’t believe no one has wanted to make the order email wider. I just can’t seen to find the information on how to do it.